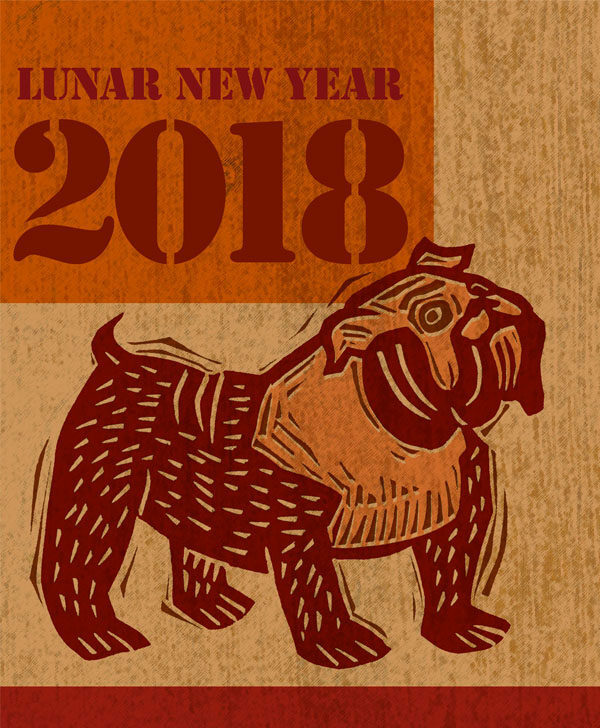 This linocut image with digital colour is a personal work to celebrate the Lunar New Year. The Chinese Horoscope predicts the Year of the Brown Earth Dog will be a good one for all. I wish you health, happiness and prosperity in 2018!